We will cover your TV against breakdowns including electrical and mechanical faults. What is the difference between an extended warranty and a TV Protect Insurance policy? Most extended warranty insurance covers you for electrical faults when your original manufacturer's policy ends. A TV Protect policy will cover you against electrical or mechanical faults after your manufacturers warranty expires saving you hundreds of pounds of repair costs. Why do I need TV Protect? It can be extremely expensive to repair your TV, and on many occasions faults may not even be possible to resolve. Sometimes people decide to buy a new TV costing them hundreds of pounds. By deciding to purchase TV Protect you can relax knowing that you will receive a first class service, no surprise bills and full technical support 363 days a year. Yes, there is an excess which needs to be paid before a claim can go ahead. This is £40 for all TVs with cover amount of £200 or less, £75 for all others. An additional excess of £30 will be applied for claims made within the first 3 months of the policy start date. 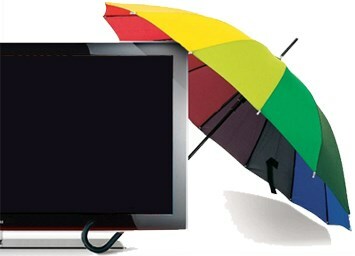 We believe that TV Protect currently offer the cheapest quality TV warranty product. How can I buy cover? Simply complete the form online and you'll be covered subject to our terms and conditions. What is method of payment? All claims must reported online. Take a look at our terms and conditions, which can be found at Row.co.uk for the full guide on how to make a claim. If you get stuck at any point please call our customer service team on 0844 3186871, they'll be happy to help!